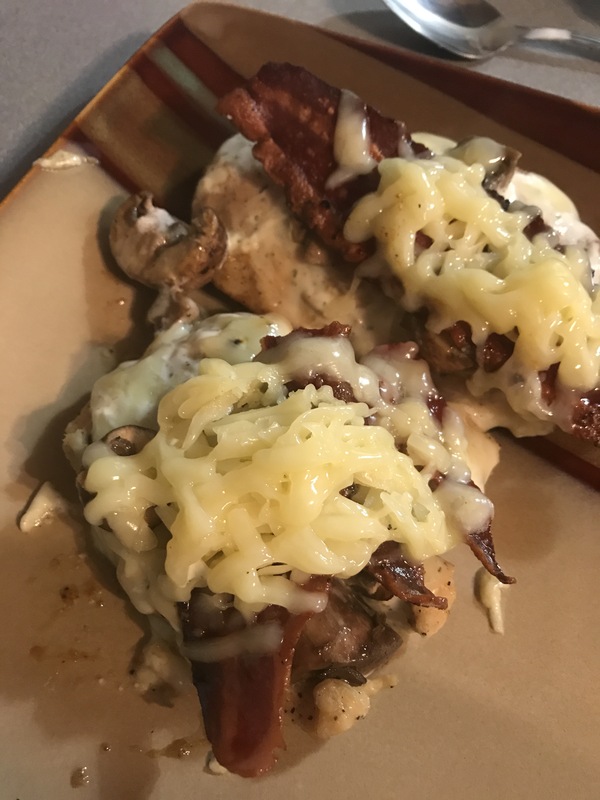 This is my play on my favorite dish from Joe Root’s restaurant here in Erie, Pa. You just can’t go wrong with ranch, bacon and cheese! I believe they use cheddar jack on their chicken but I only had jack. Really though, any cheese will do because… well….it’s cheese! 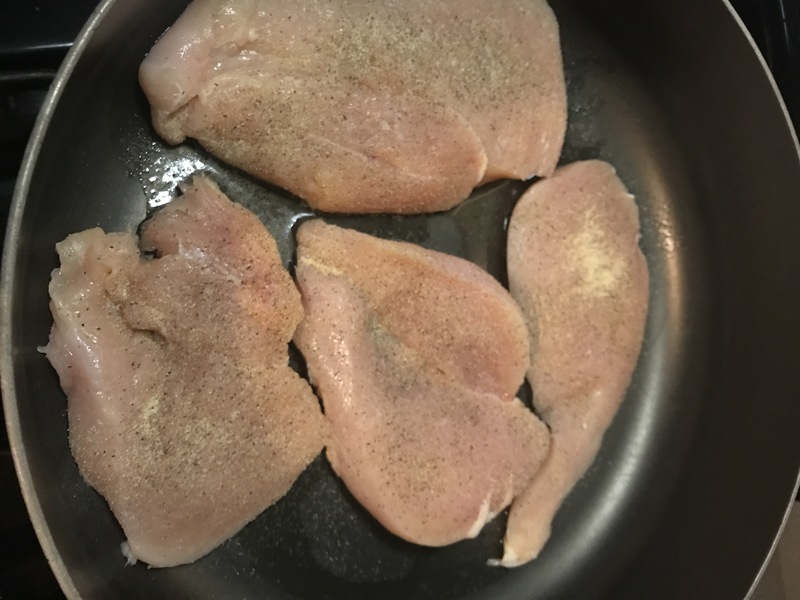 Make sure your oil is nice and hot before cooking up your chicken breasts. Place them all in my pan and sprinkle them with salt, pepper and garlic powder. Fry them for about 3 minutes per side then place the lid on the pan to help the chicken cook faster. I feel like it steams the chicken as it’s cooking. Maybe it really doesn’t, but I like to think that it does! Haha! While the chicken cooks, put 4 pieces of turkey bacon in a small pan and fry until crispy. 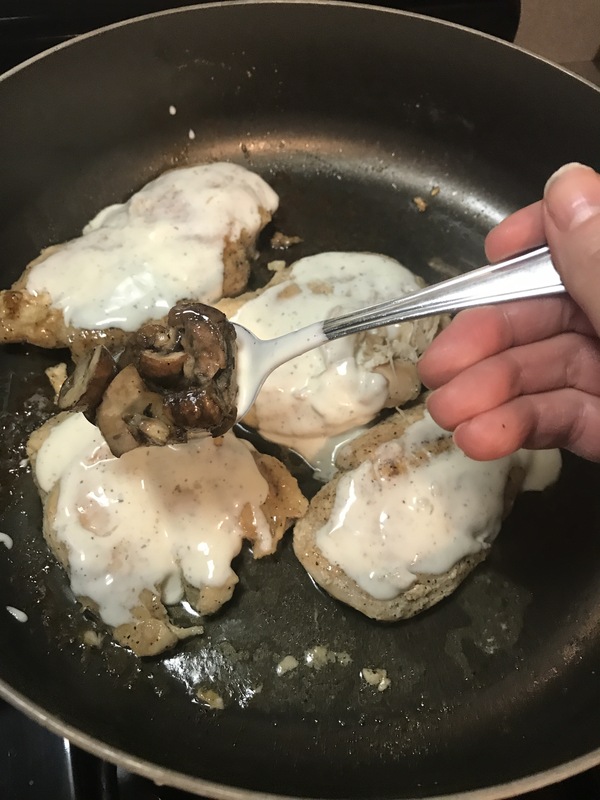 Also, sautee mushrooms in a separate pan for about 3 minutes in just a little canola oil, salt and pepper – just enough to soften and flavor them up a bit! 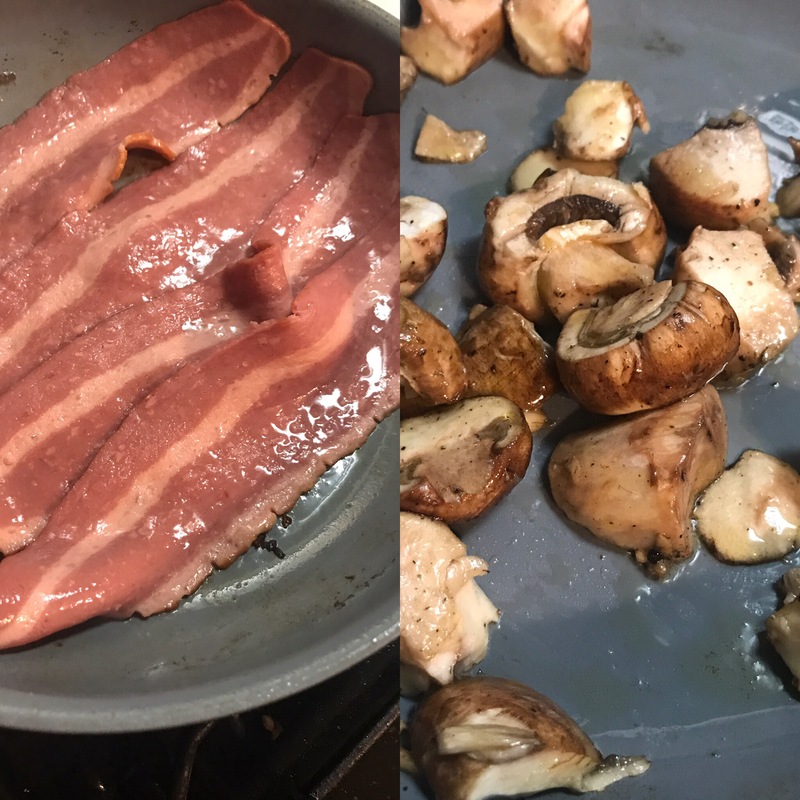 Once the bacon and ‘shrooms finish cooking, set them aside. I’d say my chicken took about 20 minutes or so to thoroughly cook through because I cut them pretty thin. 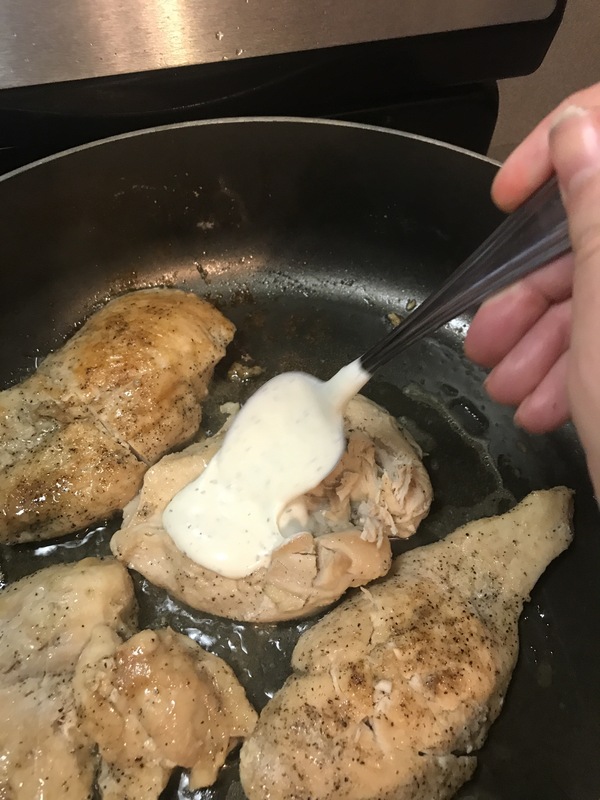 If you don’t use a meat thermometer, to ensure the chicken is cooked through, cut into the chicken and check to see that the insides are white and the juices run clear. 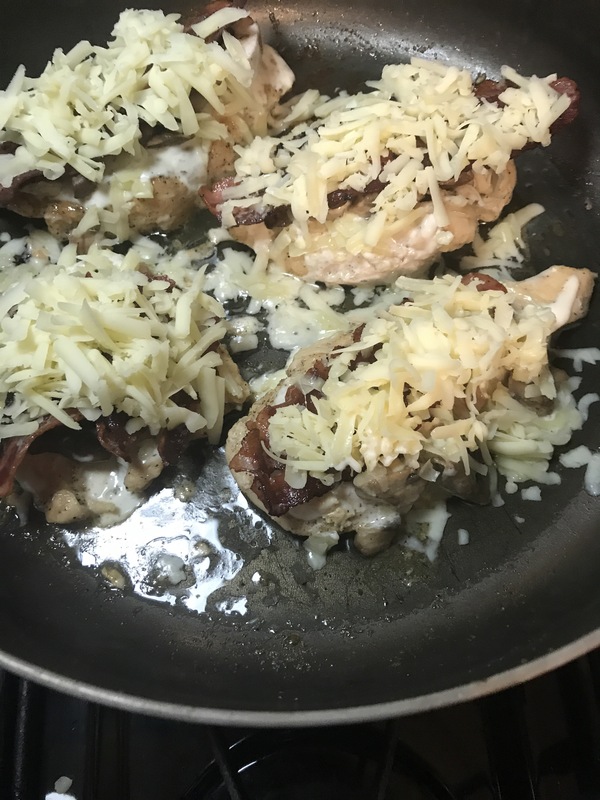 Then cook it a few more minutes – just to be safe… At least that’s what I do! Moving right along, turn your heat down to low and add your ranch dressing to the tops of each piece of chicken. 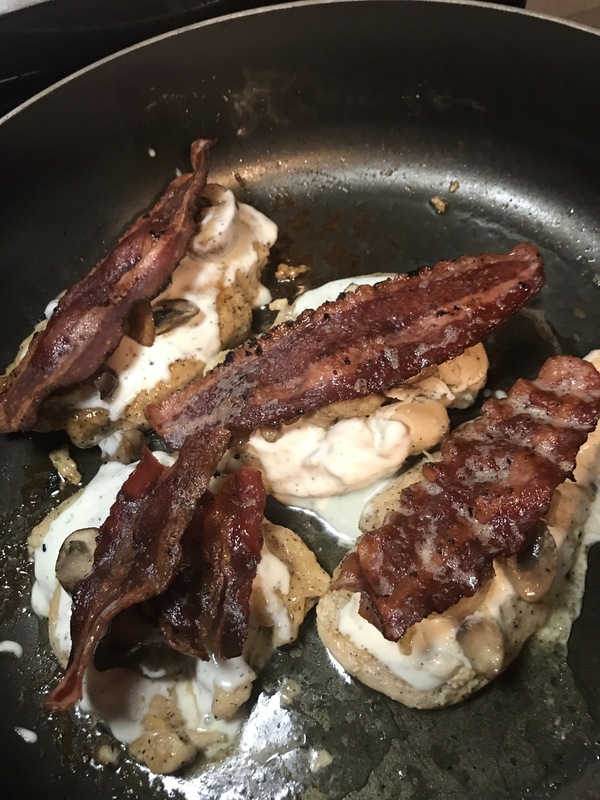 Then, I top the ranch with the mushrooms! I’ll give -$100 to the person who knows what comes next??? Just kidding! I’m sure you guessed it though, the bacon! 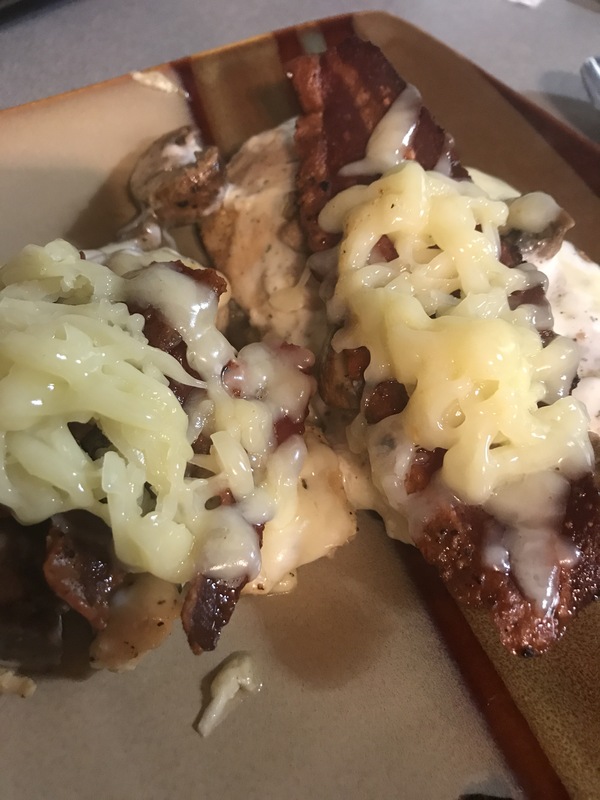 Of course you will top the bacon with cheese and place the lid back on to let the gooey, delicious cheese melt atop this wonderful combination. Thank you, Joe Roots for introducing me to this delectable dish! !